Microdermabrasion is non-invasive and painless. It uses a diamond-tipped applicator with a slight suction to remove dead or damaged skin cells. Skin will appear softer, smoother, brighter, clearer, fresher and younger looking. The skin is treated to a deep, mechanical exfoliation that gently resurfaces the outer layers of the skin, removing damaged cells and stimulating the skin’s natural cell regenerating process. The vacuum used in microdermabrasion stimulates collagen and elastin. The result is a healthy, natural, smooth and youthful skin. Pregnancy Safe Treatment. 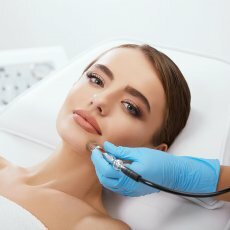 Who can benefit from Microdermabrasion? Skin that is aging, congested, flaky, dry, devitalized, thickened, blemished, dull and sun damaged can be rejuvenated and refreshed. Blotchiness, uneven skin tones and texture will also be improved. 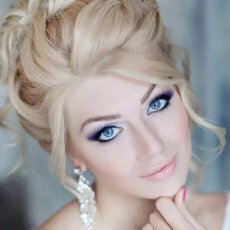 Even normal skin can be made to look fresher with a warm glow. How often are the treatments given? 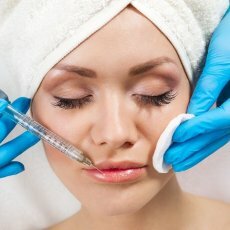 Microdermabrasion requires a series of treatments. While results are achieved with a single treatment, it is an unrealistic to expect significant results from a single treatment. Cumulative results can be significant with as little as 6 treatments repeated one to three weeks apart. Monthly maintenance treatments are recommended. 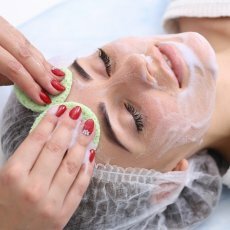 Why does the skin benefit from Microdermabrasion? Approximately every 28 days we create a new layer of skin. As new cells form, they push their way to the surface and then dead cells settle on the surface. This can cause enlarged pores, clogged pores, a bumpy uneven texture, and a dull appearance. As we age, this process slows down leading to the appearance of older skin with less radiance. Since we are only treating the outer layer, called the stratum corneum, serious side effects is not a problem. Non-invasive and non-wounding to the skin’s surface, microdermabrasion has no discomfort, down time or recovery. Patients typically experience some redness for about an hour after the procedure. Healing time for most is a few days. 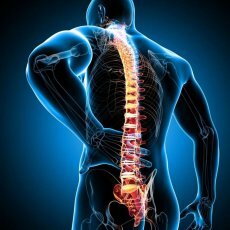 What can I expect after my first treatment? Though microdermabrasion requires a series of treatments, you can see a visible improvement in the treated skin after the first treatment. Some patients experience a tightness and redness of the skin, comparing it to the feeling of mild sunburn. To restore moisture that is lost during Microdermabrasion, we recommend proper moisturizer for daily use. You need to let us know if you have any of these conditions: rosacea, dermatitis, skin cancers, easy bruising, Hepatitis C, AIDS, or are on blood thinners or Accutane. 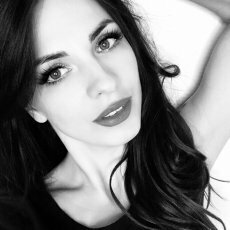 If you use RetinA products or any skin care products that irritate the skin you should stop them for at least 2-3 days before and do not restart until 2-3 days after a treatment. 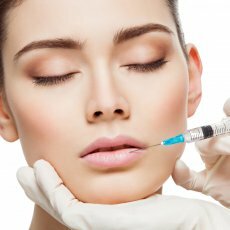 – Electrolysis, waxing, depilatories, masks, other Glycolic or Lactic Treatments or Dermabrasion. – Hair dyes, permanent wave or straightening treatments. 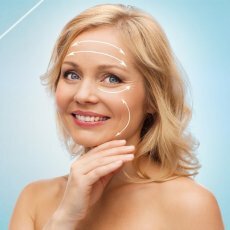 – Tretinoin (Vitamin A Acid creams) and Glycolic Acids. – Loofa or other types of sponges. – History of sensitive skin, eczema, lupus or other autoimmune disease. – History of sun sensitivity. Each colour of light has its own benefits to the skin. Red lights are great for energizing every cell. Yellow is the colour of choice for decreasing inflammation by encouraging circulation and boosting the body’s immune system. Green light on the skin has shown to target uneven skin tones and reduce redness. Blue LED light has long been recognized as the non-invasive gentle therapy for acne blemishes because of its ability to kill the acne bacteria in the pore. Studies show that skin exposed to LED light wavelengths grows 150-200% faster. Therefore, as LED therapy improves the cosmetic appearance of skin, it also promotes the healing of wounds, scars and burns. This happens because skin has a high blood and water content, so it quickly absorbs the visible light to produce enough energy to cause a healing response from the body. Ultrasound is one of the most comprehensive methods in the 21st century to provide the skin with active agents. The secret of its success is that with its application both water- soluble and fat-soluble active substances can easily enter the skin. Applying this method, the metabolic processes of the skin intensify, the nutrient and oxygen supply of the cells increase. Thanks to the positive effect on the connective tissues’ fibres, the skin becomes tighter and youthfully elastic. The heat generated during ultrasonic treatment increases blood flow, nutrient and oxygen supply to cells.